amfAR, The Foundation for AIDS Research, today announced a pair of research grants that renew its support for innovative approaches to HIV cure research. Totaling nearly $1 million, the Investment grants will allow two collaborative teams of HIV researchers and bioengineers to embark on a second phase of projects initiated with amfAR funding awarded in February 2017. 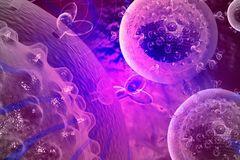 It has been six years since the first case of a cure was reported in an HIV-positive man with leukemia who received a stem cell transplant from a donor with a rare genetic mutation conferring resistance to HIV infection. The case of “the Berlin patient” raised as many questions as it answered, and it dramatically changed the trajectory of HIV/AIDS research. The principal barrier to curing HIV is the reservoirs of infected cells that cannot be cleared by the immune system. Adding to the multiple ways HIV shields itself from attack is the recent discovery of an “invisibility cloak.” But what if we could uncloak the virus so that it can be seen and targeted by the immune system?